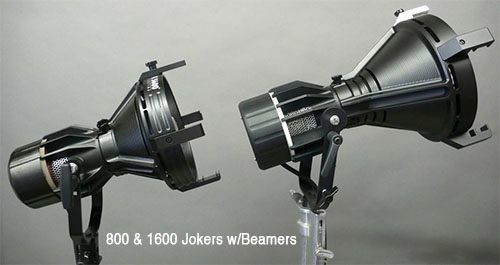 I have owned Joker Bug 400 and 800 packs, and I love these lights so much that I'm receiving my Joker Bug 1600 hot off the assembly line in late January. I prefer HMI's over strobes in many shooting situations. Since we are now doing more cross over work (still and video) and sometimes both in the same day, I need great equipment that can be used in both worlds. The Joker Bug 1600 accomplishes this excellently becuase it's completely silent. The craftsmanship is so amazing and the travel cases are built so well that I know they are protected going from location to location, whether flying or driving. The only maintenance is changing the bulbs. I'm so excited to work with this more powerful light. Be on the watch for new videos and still work being lit by my new Joker Bug 1600. 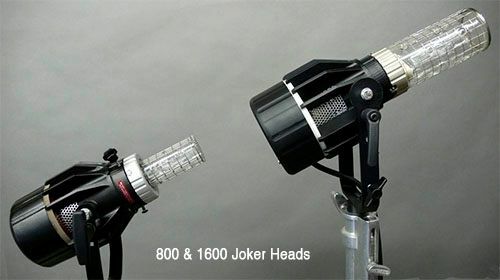 Twice the power of the Joker 800, in a truly compact design. Compact Ballast –– 11 lb., 15 amp draw at 120V, 120/240 operation. Single Case –– Pack & travel light. Because of the increasing use of Chimera® Lightbanks for fine daylight interiors, two camera interviews, TV magazines, and documentaries, are designed for this fixture to take full advantage of the large reflective material inside a Lightbank. Utilizing the BUG™ “bare-bulb” design you can produce an amazing 50% more output than a JOKER 1200! The JOKER-BUG 800 fits in one tiny airline case, weighing only 38lbs. When working in practical locations such as homes, offices or business, power consumption is a key factor. The JOKER-BUG 800 will produce as much output as a 4,000 Watt quartz fixture with the power draw of only 12.5 Amps, never risk overloading a circuit again! Less is More - JOKER-BUG 800 only draws 12.5 Amps allowing for a 400W to be used on the same circuit! 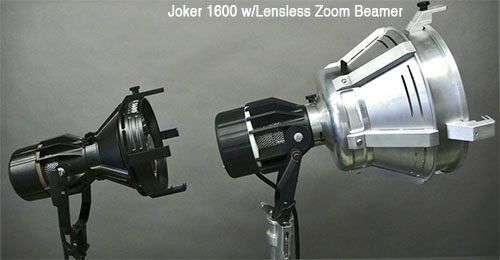 I will be purchasing my Joker Bug 1600 from K5600.